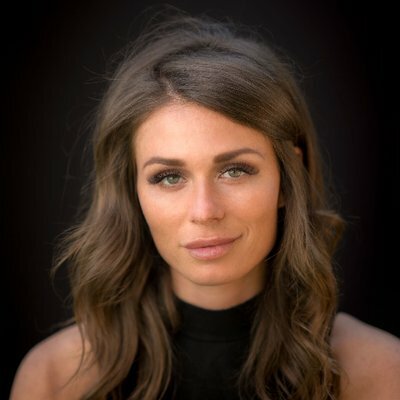 Antifa activists repeatedly assaulted independent conservative journalist Faith Goldy (pictured above) at a recent political rally in Canada close to the U.S. border. Goldy attended the May 19 rally on Roxham Road, an unofficial border crossing, in Saint-Bernard-de-Lacolle, Quebec. Peaceful demonstrators opposed to Canada’s relaxed immigration policy gathered to protest Canada’s refugee policies but Antifa members led by radical activist Jaggi Singh crashed the event in an effort to “no-platform” its participants by depriving them of an opportunity to speak. “Make racists afraid again[,]” read one red-and-white banner carried by Antifa at the event. Roxham Road is more than a mere symbol in ongoing political battles over immigration policy in Canada. Illegal aliens frequently access the road on the U.S. side in Champlain, New York, using it to cross into Canada on foot to seek refugee status in that country. According to the Canada Border Services Agency (CBSA), in 2017 close to 20,000 asylum seekers crossed into Canada on Roxham Road, which dead-ends on the U.S. side and then continues about 100 feet later on the Canadian side. There is no wall or fence marking the international boundary. Indeed, the boundary between Canada and the United States is the longest undefended international border in the world. Members of the Antifa movement protesting at the event quickly recognized Goldy, a former correspondent for the in-your-face Canadian conservative media outlet, The Rebel, and set upon her. It should be noted that Goldy was in attendance as a reporter, not a participant. But that didn’t matter to the Antifa activists present, many of whom were masked and dressed head-to-toe in black. In one video posted May 21 by YouTube user ThinGrayLine, Antifa can clearly be seen assaulting Goldy, knocking her smartphone out of her hands, which she was using as a camera. They then tried to kick the phone and attempted to abscond with it. Footage from Goldy’s smartphone shows that Antifa members tried to prevent her from filming the news event, spat on her, called her a Nazi, unleashed a stream of obscenities on her, and threatened to push her into traffic. Riot police were in attendance but they did not come to Goldy’s aid. One journalist from a taxpayer-funded Canadian media outlet even mocked Goldy for her troubles. This prompted Ezra Levant, founder of The Rebel, to accuse the media of “having a good laugh” over the violent assault on Goldy. This article by Matthew Vadum first appeared June 5, 2018, at the Capital Research Center website.